Value creation is the focal point that binds the above four factors driving down greater profits and keeping the product relevant to its customers. 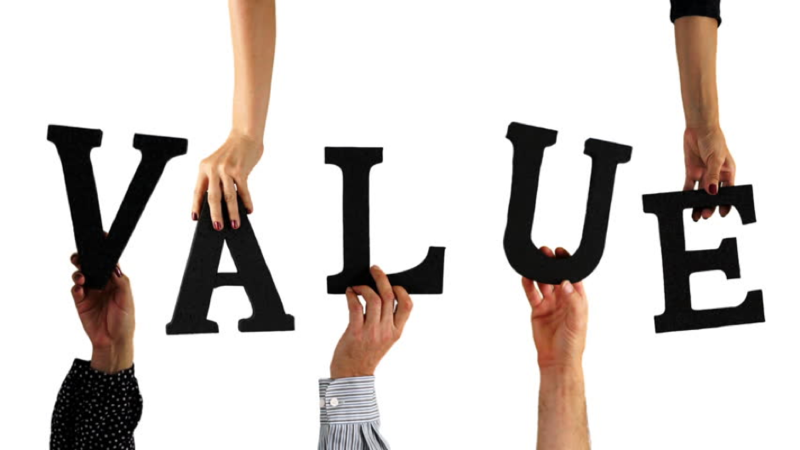 However, value is also proportionately related to the law of Diminishing Marginal Utility, which highlights that value is derived from the utility a product or service extends to its customer. As consumption increases, the utility starts diminishing, thereby leading to diminishing value derived from the same product. In past value has been primarily associated with either creation or recreation primarily due the nature of product or services that were associated with its customers were perishable. However, the emergence of the platform economy has resulted in a c change in the way we approach value and the way customer perceives it. The platform economy is driving greater participation in the market, marking the decline in the importance of products and exponentially highlighting the importance of platforms. Unlike products, they enjoy longer lifecycles and are more affected by the eco-system that runs them. Hence, value creation largely has to be re-looked at a lifecycle level, where value is continuously discovered, delivered, sustained and recreated for the sustenance of the platform at large. Contrary to a Product Value lifecycle, Platform Value lifecycle’s are varied and kind of complex, primarily due to multiple variables involved. Platforms have a diverse eco-system comprising of buyers, sellers and products, which make them focus on experience to generate value for each one of them on an ongoing basis. However, in light of the continuous evolution of these elements, their needs and expectations, platform players have to continuously evolve not only their eco-system; but also, be ready in light of the continuously evolving expectations. Let’s take the example of Netflix, which came to the market with a value proposition around giving the customers the freedom to access movies without worrying about late fee charges with its DVDs by mail offering. However, as the utility derived out consuming movies through DVD started diminishing, it recreated value for its customers by creating an online site, which helped customers get unlimited access to movies sitting at the comfort of their home. They further sustained the value by introducing Recommendation Engine and Queue system that helped customers immensely in cutting out time to search for movies online. Utility derived out of model was good, until players like Blockbuster and Walmart replicated the model in no time and came up with better offers on the table. This is when Netflix took the plunge in recreating value through its Video Streaming business and later followed it up with producing own content to deliver the greater satisfaction for its customers. Today, it boasts of more than 90 million customers who have subscribed to its service and reaching 100 million views a day. The beauty of this evolution has been that Netflix today knows its customer in and out, as it tracks who is watching, what are they watching, how and when are they watching, which helps them design their own programs to the liking of their customers. The impact is for everyone to see, Netflix has proven that it is a serious contender in the Emmys after this year’s nominations revealed it is only 17 nods behind HBO. Netflix received 93 nominations – a record number – after receiving 54 last year. In 2013, Netflix bagged 14 Emmy nominations, compared to HBO’s 108. There are similar examples like these in the industry and Amazon, is for sure one of them, who have used this extensively in driving greater customer convenience and experience to its customers, thereby prolonging the life of its platform. It is claimed that 90% of the world’s data has been created in just the past two years and it is expected that the amount of new structured and unstructured data will grow by 60 to 80 percent respectively by next year. Technologies becoming all the more pervasive and being embedded in our daily activities is providing loads of data and information every moment on our lives to organization, providing them headway to learn and understand the needs and behavior of a customer on a day to day basis. Technologies like IoT, just about everything we see or interact with, becomes a computable entity, right from our homes to cars and even objects on the street, opening doors for greater interactions with each other and driving increased capability to collect data on a continuous level. This leads to greater intelligence around the eco-system to drive better understanding on the behavioral patterns. With edge computing gaining ground, Near Field Communication (NFC), allowing nearby devices with two-way communication and Ultra low power chips presenting a capability to harvest energy in the environment, will be two technologies, that will drive the trend in the coming few years. We are staring at an interactive and responsive world that is pervasive across our behaviour sets. In light of an information-driven economy, where intelligence is cut across product and service lines, the importance of gaining insights out the raw data accumulated and extracting it for value discovery is extremely important. It is estimated that a week’ worth of New York Times contains more information than a person was likely to come across in a lifetime in the 18th Century. It is estimated that four Exabyte’s of unique information will be generated this year. That is more than the previous 5000 years. The amount of new technical information is doubling every two years. With the volume, velocity and variety of data being produced across the eco-system, it is creating an analytics revolution; which means organisations have enough information at their helm to take quick decisions. However, how quickly they decide, will determine the success or failure for them in the marketplace. Among this vast pile of information, which may be a mix of structured, semi-structured and unstructured data, will enterprises be able to realise optimisation goals and increase revenue consistently over a period? It is dependent on how effectively they envision it to be part of the organisational DNA and the use they put it to. Whether it be for ensuring building Proactive Maintenance of machinery, through predictive maintenance, or be for analyzing the results of product success in the market with modelling techniques called predictive analytics. As a result, the maturity around customer engagement has reached a level, where anything and everything around is going to be judged from a perspective of customer experience. Organisations going after Digital Transformations have to look into their capability of delivering experiences and as a result their ability to engage with their customers closely and imbibe them into their roadmap to build a predictable future for themselves. FIND OUT HOW “VALUE LIFECYCLE” CLUBBED WITH “CIRCLE OF INFLUENCE” DRIVES GREATER ENGAGEMENT ALONG WITH EXPERIENCE TO EVOLVE AN ENGAGED CUSTOMER FOR LIFE.